If you have been around here for some days, you might have noticed that there's a lot of talk going on about paid links on different platforms; social media, forums, etc. Even Google Webmaster Central blog repeatedly covered it, which makes us believe that Google might be working on a new algorithm or an update which will enhance the accuracy of search results more by shunning paid links even further down the drain. Anyhow, in our previous posts, we talked a lot about paid-links - indeed, we made a whole series out of it. So in this post, we won't be going into much detail. Instead, we'll just look at some important questions answered by Google about paid links, and then we'll try rounding up all our posts on paid links. 1. Why do paid-links violate Google's guidelines? Google owns more than 2/3rd of the search game. This points to the fact that most users trust Google's results, since they are more relevant. Paid-links provide websites with an unfair advantage, and help them get higher search positions. This effects the accuracy of search results, something which Google cannot afford, what with such a large user-base. 2. So do paid-links effect other search engines as well? Of course they do! Just like Google, other search engines also want to maintain their user-base by keeping their accuracy in check. Like Google, they too roll out updates to ensure that such practises are kept at bay. 3. Do paid links impact PageRank of a website? Without a doubt. A high PR means that Google trusts a website. But paid-links aren't looked upon with favor. They reduce a website's trust ratings, since it is getting unfair advantages. So such practises will undoubtedly impact your trust, and ultimately your PR. 4. How come Google decides what webmasters should do with their sites? Actually, this isn't a matter of who controls whom. Google isn't controlling what webmasters can and can't do with their websites. Google reserves the right to restrict any site that tries to pass PageRank and manipulate search results. Such sites are against Google's interest, and can be penalized. Webmasters can do whatever they like. But if they want to stay in good favor with Google, they need to abide by the quality guidelines. 5. What to do if your PageRank gets effected? If you were selling links, and your PR got effected, don't panic. Remove all your paid links, or disavow them. Then, file a reconsideration report so that Google will review your site again. If it still doesn't work, then work on building your PR again. The following posts might help. 6. Is Google trying to snuff out other forms of advertising? Not really. Google isn't against advertising. In fact, it supports various third-party advertising networks. 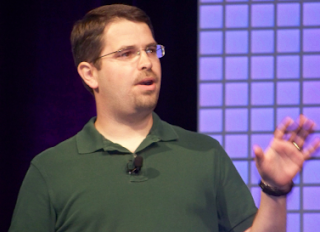 As Matt Cutts pointed out, Google doesn't have a problem with paid-links used for getting targeted traffic. Google just wants you to tell it when a link is an ad (see the answer below). 7. How are paid-links different from paid ads? Well, for one, ads are usually accompanied with a rel="nofollow" tag, whereas paid-links are dofollow. Also, paid-links attempt to manipulate search results, whereas ads don't. Ads only attempt at raising awareness, increasing traffic, reaching out to more people, and so on. 8. How does Google know when a link is paid or not? We discussed this at some length in our previous post (Part 3 of this series), so I will just brush over this topic. Google tells them apart through keywords and relevancy. Paid-links usually aren't relevant to the content they're linked to or from. If you think a website is selling or buying paid links, you can report it to Google. Check out this Google Webmaster Central blog's entry on reporting links to Google. Google will review your report, and take due action. This feedback also helps Google improve its algorithm. 10. Where to go for more information?